Most of the classification algorithms (e.g. support vector machines, neural networks) cannot directly handle Missing Values (MV). A common practice is to rely on data pre-processing techniques by using imputation or simply by removing instances and/or features containing MV. 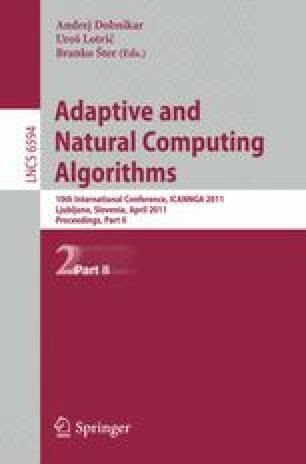 This seems inadequate for various reasons: the resulting models do not preserve the uncertainty, these techniques might inject inaccurate values into the learning process, the resulting models are unable to deal with faulty sensors and data in real-world problems is often incomplete. In this paper we look at the Missing Values Problem (MVP) by extending our recently proposed Neural Selective Input Model (NSIM) first, to a novel multi-core architecture implementation and, second, by validating our method in a real-world financial application. The NSIM encompasses different transparent and bound (conceptual) models, according to the multiple combinations of missing attributes. The proposed NSIM is applied to bankruptcy prediction of (healthy and distressed) French companies, yielding much better performance than previous approaches using pre-processing techniques. Moreover, the Graphics Processing Unit (GPU) implementation reduces drastically the time spent in the learning phase, making the NSIM an excellent choice for dealing with the MVP.